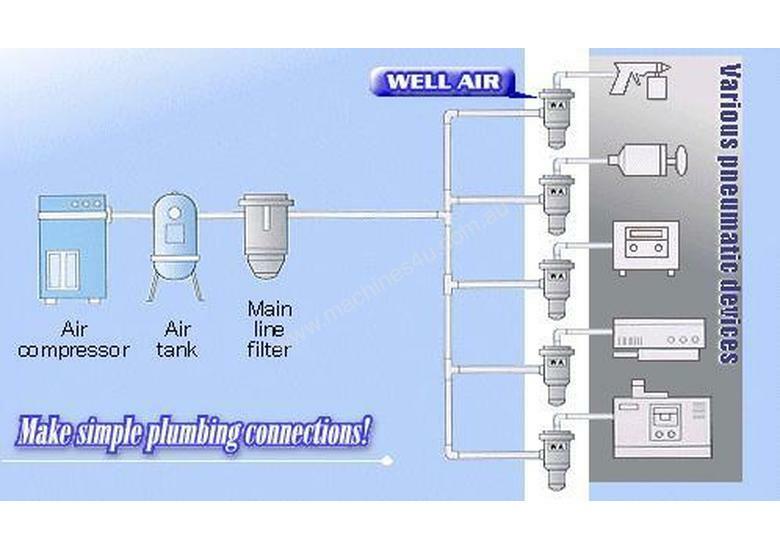 Why do the suppliers of refrigerated dryers also sell you line filters that require maintenace and the replacement of consummables on a regular basis? 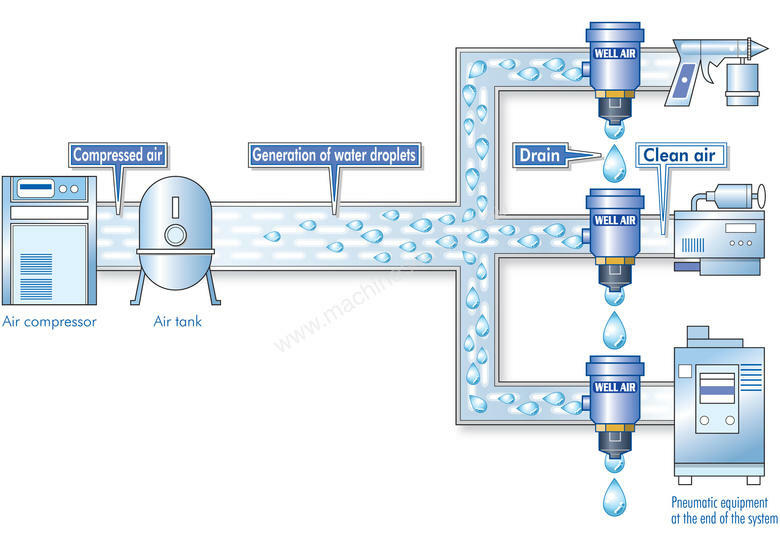 Because moisture not only developes when the air is cooled after compression, it forms via condensation in your air line system. THE PIPES. 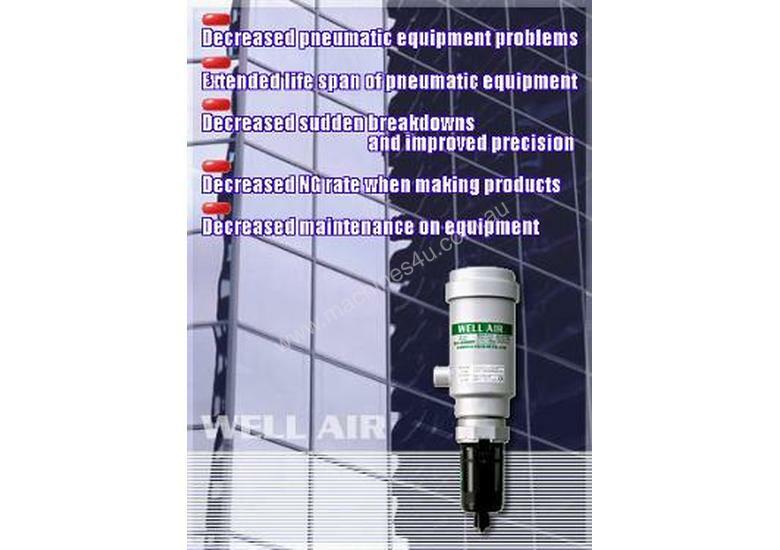 WELL AIR has been designed to remove all moisture, dirt and oil from your compressed air line to protect your machinery and equipment from becoming contaminated. We have supplied 100's of units already without one response that the WellAir didn't do what we say it will. 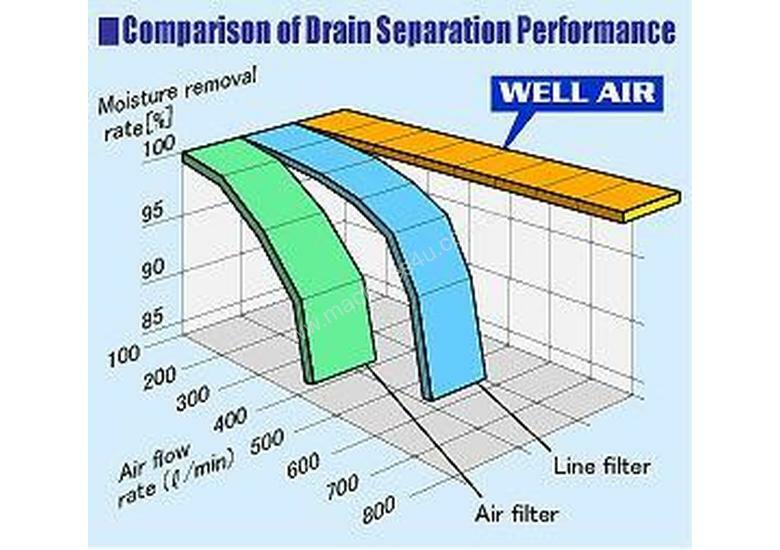 This product removes 99.99% of moisture from your air line without costing you anymore than the purchase price. FOREVER. We guarantee it. No Filters to replace, No electricity to run it, No freon gases needed, and better still, No Maintenance Required. Available in 3 sizes depending on actual flow rate needed. 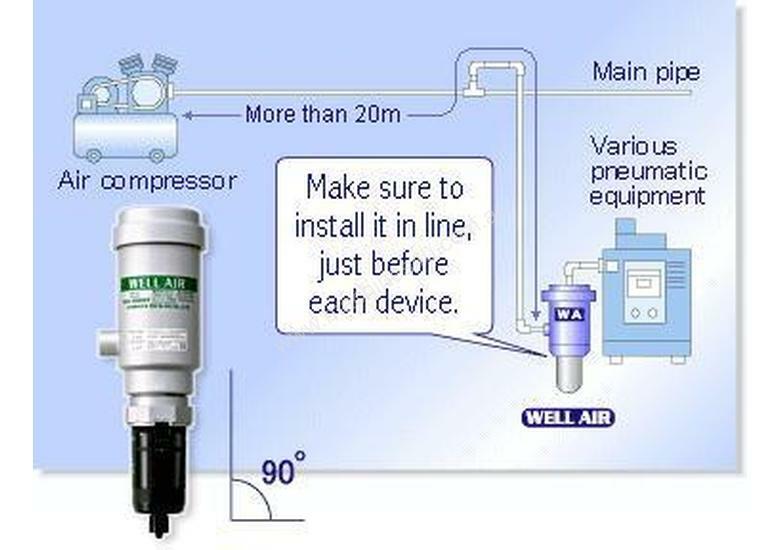 Starting at 150 l/min to a maximum of 1200 l/min, Well Air will effectively remove 99.99% of moisture before it enters your Pneumatic Operated Equipment. Developed, Manufactured and Patented by Kamata Tecnas Co Ltd of Japan, this low cost and amazing product uses no power, no gas of any kind and is completely maintenance free. 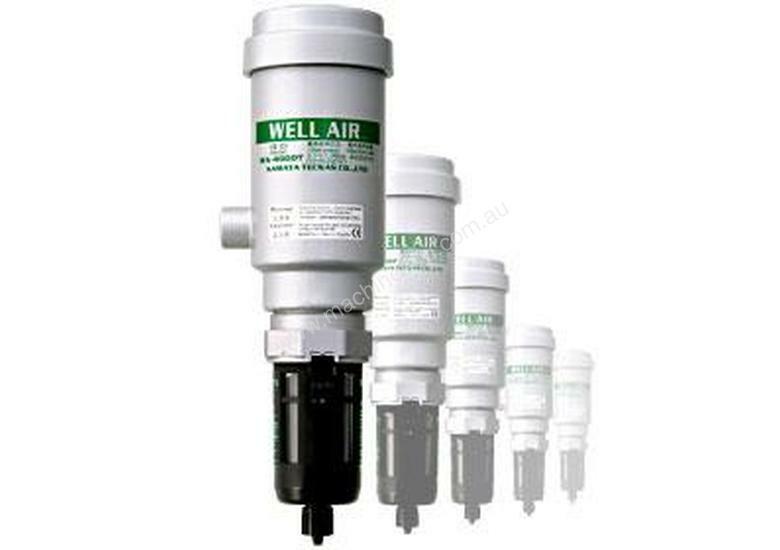 It has been designed to never need replacing and the WELL AIR's performance will not deteriorate over time. Very easy to fit to any airline, WELL AIR comes in a range of sizes to suit all air flow requirements and comes complete with instructions, mounting clip and warranty. We can deliver to all areas of Australia and New Zealand and other Overseas countries upon request. All standard sizes are stocked here in our store.